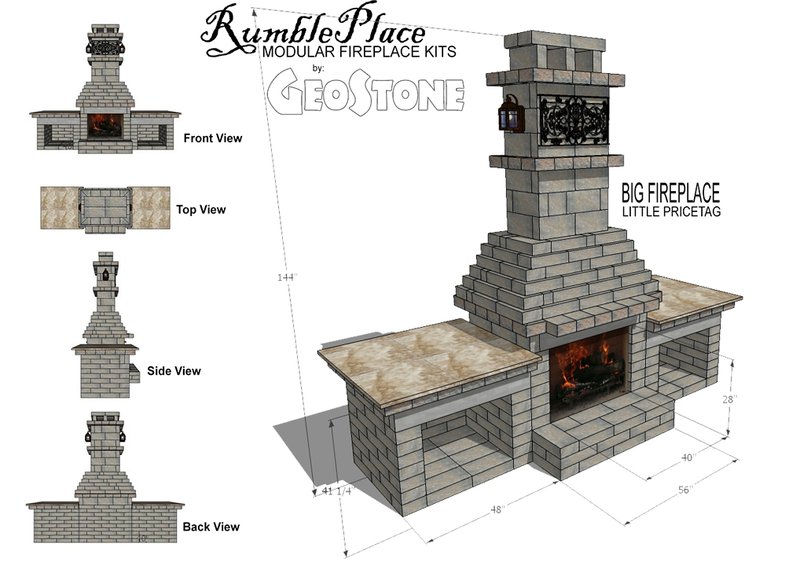 The Rumbleplace Grande is our latest design and our largest fireplace. As shown, the Grande is 13ft tall with a 40in fireplace opening. A more traditional look, this fireplace features intricate block layout and a much larger surface area for displaying decoration or an outdoor TV. 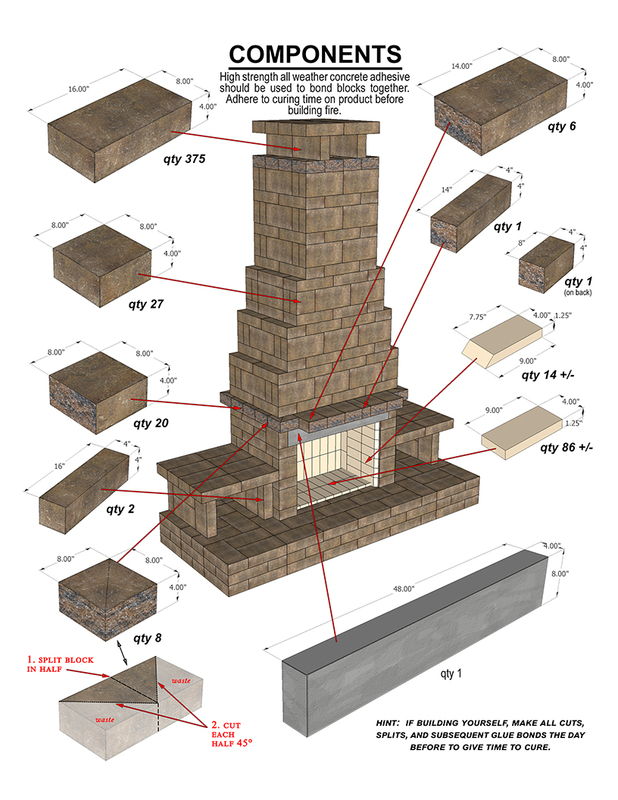 The chimney section is made for variable heights depending on your need. Pre-cut kits are available in this design but are put together as needed. Elegance, beauty, functionality, and affordability are all wrapped up in one package with this outdoor fireplace kit. By far this is the best fireplace on the market.